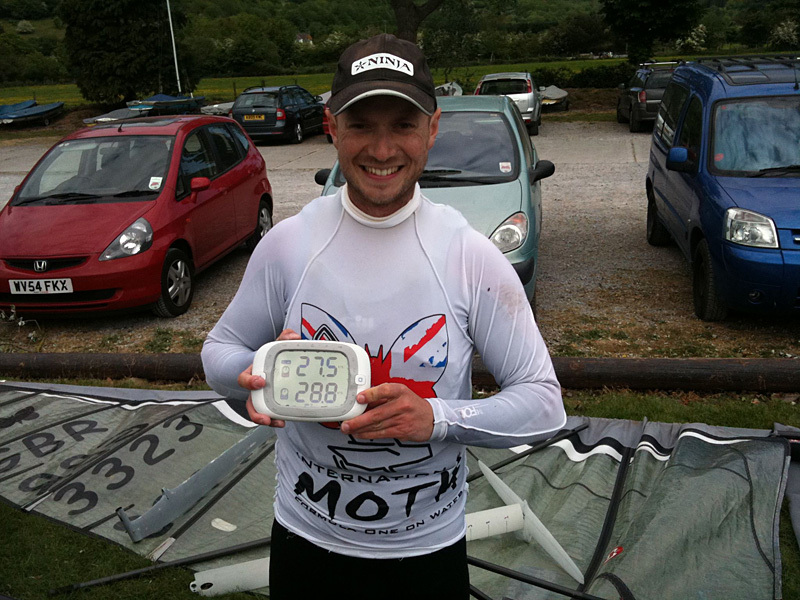 Foil technology has evolved the moth in to a blistering speed machine and officially the fastest racing dinghy in the world. Cheap GPS devices are a pre requisite for most mothies and as a result we have had the “20 knot club” which has one simple rule… break the 20 knot barrier. 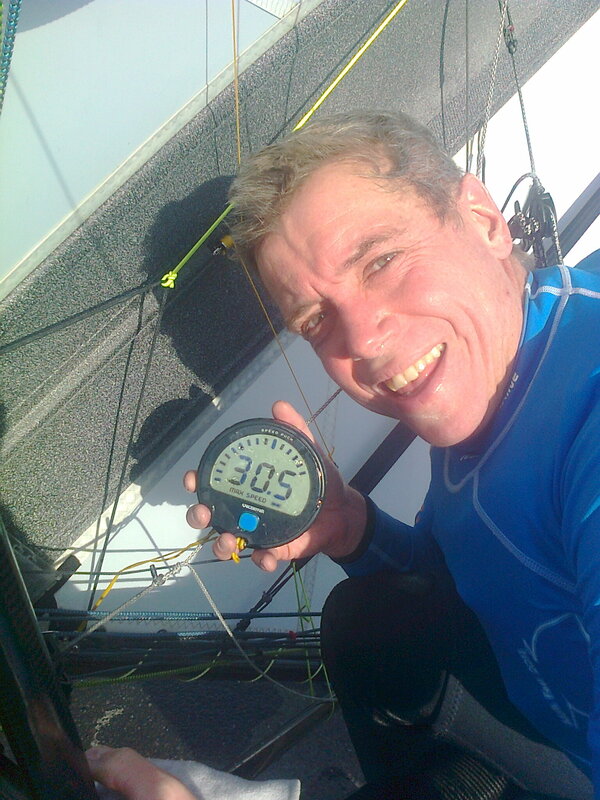 Congratulations go to Bora Gulari who has gone over 30 knots proving that there is no limit to what speeds can be reached! Bora may have been the first to reach this mile stone but many have followed pushing the current record over 33 knots. The UK Class association now runs an open event for the highest recorded speed by a GBR sailor – This event runs between UK National championships. The 2010/11 holder Is Mike Cooke pictured above. The next award will be during the 2012 National championship. To Qualify simply do as the picture above and send your photo into the website, with a brief description of how it was done where and when. A witness will give it credibility!